Well things are starting to quiet down a little bit, now that all Christmas events are finished. What a grand few days we had at my parents farm. Yet it's not over as we're not be leaving till tomorrow. So today we will try to crame in as much quading and sledding as possible before we return to the city with no snow. Anyways that's so not the point of this post. I wanted to show off Jonathan's birthday cake...er pie, that I made him for his birthday (December 25th). 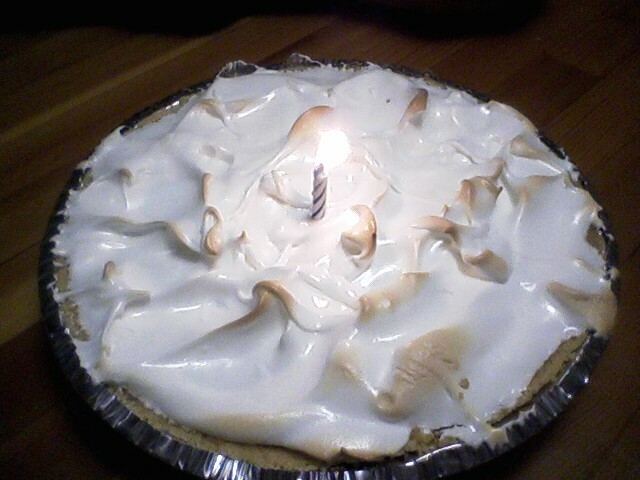 With the help of my brother Caleb we made him a lemon meringue pie, something I've never attempted before. 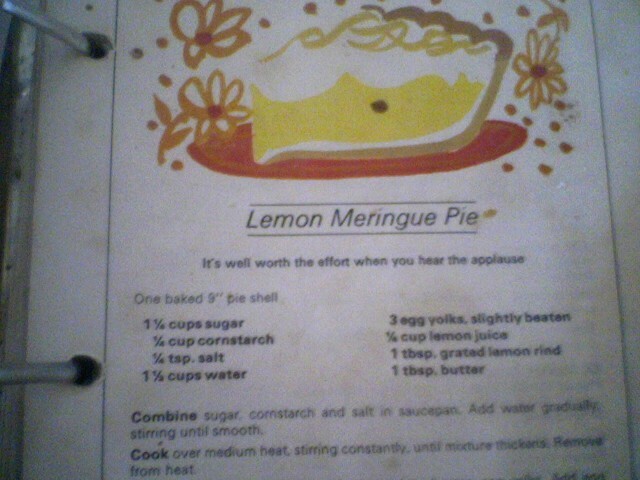 All was going well and seemed pretty natural until we came to the realization of what makes a lemon meringue pie yellow. Do you know? It's the yokes! 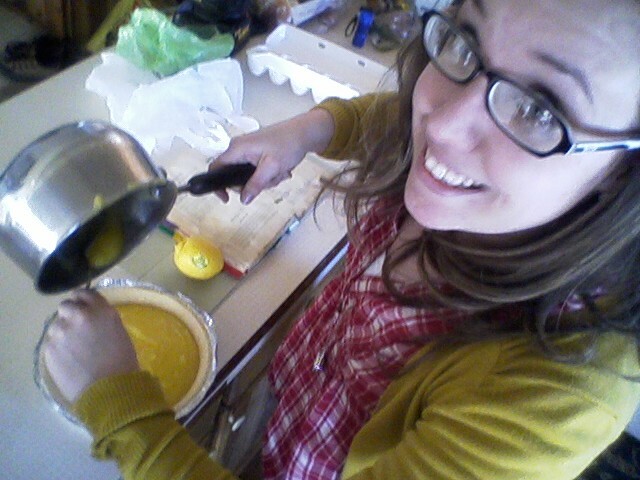 I had NO idea that the pie is yellow because of the egg yokes. It was actually rather disturbing to me so I had a hard time eating it after. 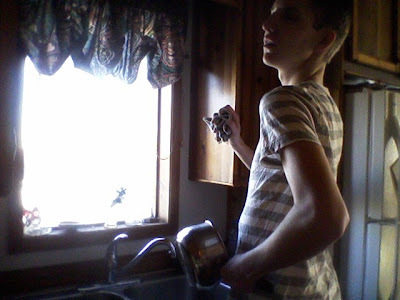 But everyone else said it tasted great, even though I told them my discovery, it didn't seem to effect anyone. Oh well. Now I know. I got the recpie from my mom's old almost 70's style recipe book. You could tell the book was well used as most every page has stained with food substanes. This must mean it's only filled with only delicious ideas. Making the pie was easy and with the help of Caleb doing the dishes was even easier! Oh Teaka! It looks totally yummy and beauteous!!! Well done wifey! haha.. Teaka you're halirious!!! We totally have that cookbook too.. so retro but it works. lol.